Several hours before serving, hull the strawberries. 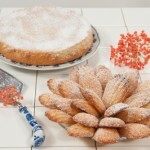 Place them, hulled side down on a cutting board. 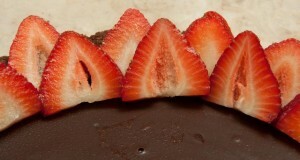 Depending upon the size of the strawberries, cut straight down into 4 to 6 evenly spaced slices. 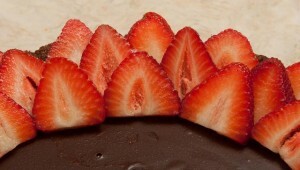 Keep them together and continue in this fashion with the remaining strawberries. 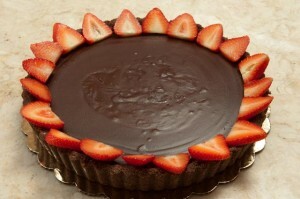 Starting at the outer edge of the tart, lay the strawberries down slightly over the edge of the filling with the pointed ends toward the edge of the tart. Continue until you have completed the circle. 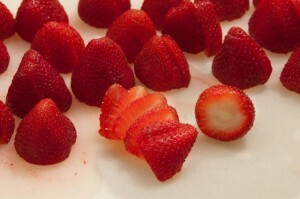 Alternate a second circle of strawberries inside the first circle wit the pointed ends between those of the row above. 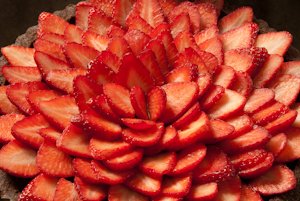 Alternate a second circle of strawberries inside the first circle with the pointed ends between those of the row above. 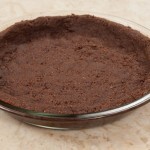 Continue in this manner until you have reached the center and completely filled the tart. 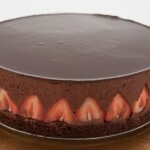 The size of the circles will decrease until you have room for only about 2 to 4 slices in the middle. 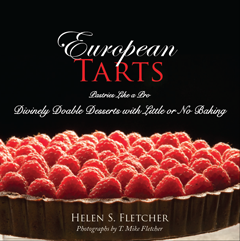 This entry was posted in Front Page and tagged chocolate, Dessert, no bake, pastry, strawberries, tart on July 2, 2012 by hfletcher.